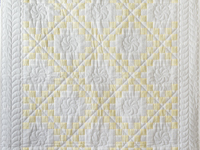 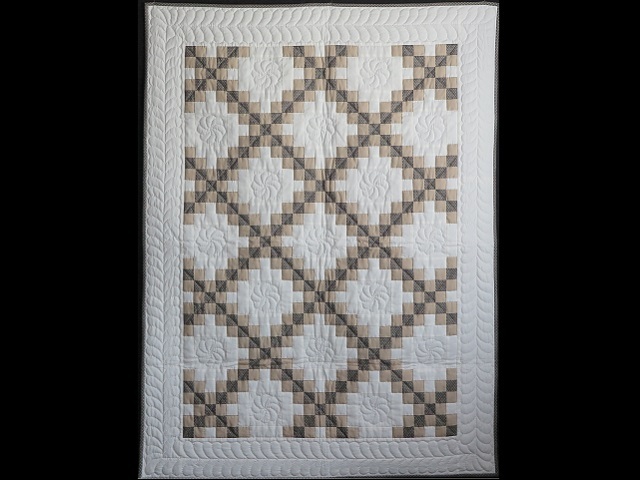 A wonderful quilt that could be used as a throw, crib quilt or wall hanging. 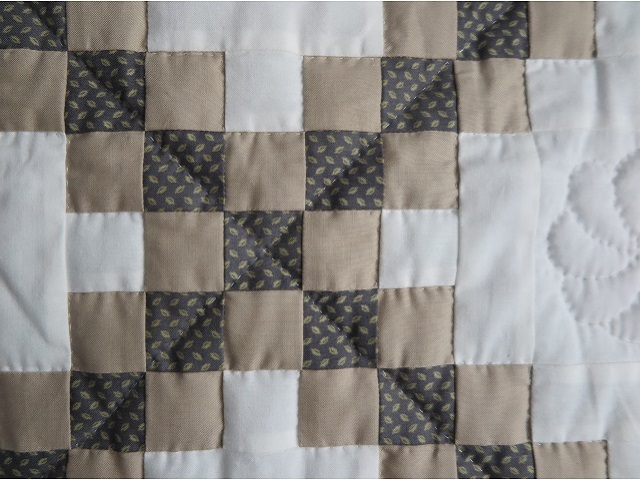 Neutral colors that will look great in any room. 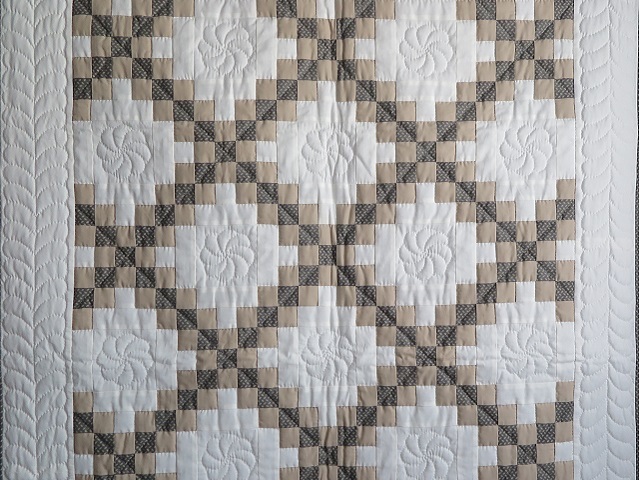 Really great fabric designs. 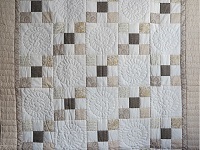 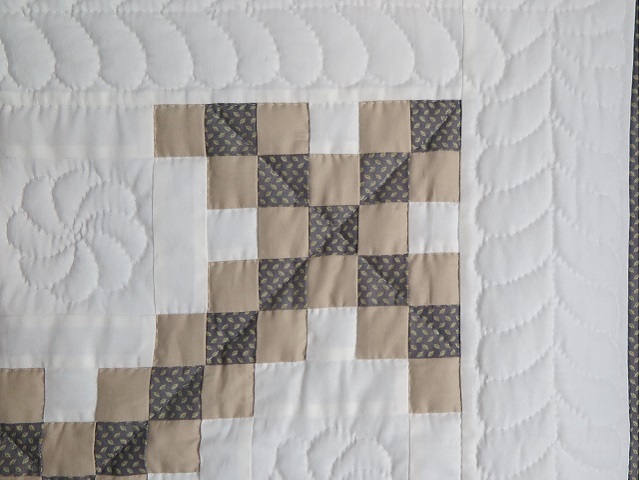 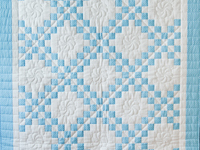 Perfectly pieced and beautifully hand quilted. 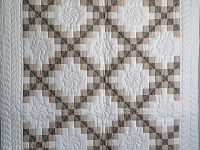 Made by Lancaster County, Pennsylvania Mennonite quilt designer Connie Lapp and hand quilted by a friend.